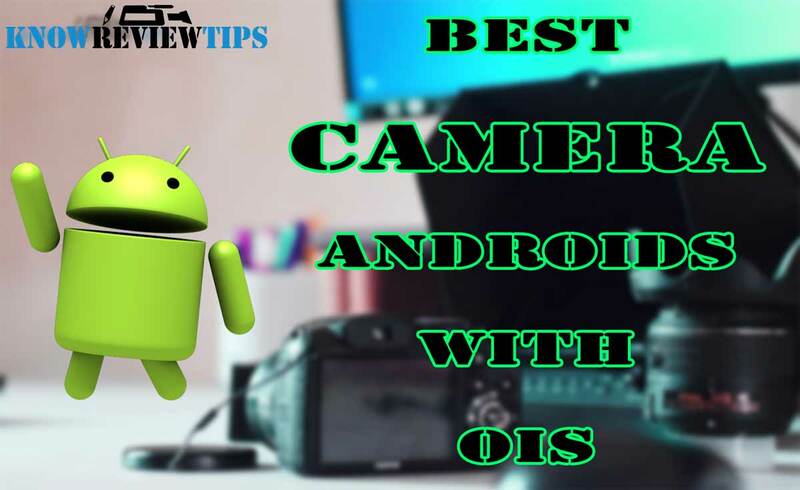 Here is the list of top Best camera android phones with OIS. OIS means Optical Image Stabilization. OIS usually comes with high end cameras and nowadays some smartphones also features OIS Camera. With OIS we can capture smooth image and video with jerk or shakes. So, Optical Image Stabilization in camera takes the camera creativity to next level and makes the capturing from camera a lot easier and smooth with hands even without placing it on stable place (like tripod). Sony Xperia XZ F8332 features a 5.2inch 1080 x 1920 pixels IPS LCD display. It draws the strength from 2 GHZ Quad-core CPU and 3GB of RAM. It is equipped a 23MP rear cam and a 13 Megapixel front camera for selfies. It has 2900mah battery. The Xperia XZ Dual F8332 comes with 64 Gigs of ROM and is 8.1 mm thick. It is a DUAL SIM smartphone with 4G LTE connectivity. It also features Laser Auto focus, NFC (Near field communication), Dust and Water proof, Optical image stabilization (OIS) and Fingerprint scanner. It is priced at RS 45999. Asus Zenfone 3 Deluxe ZS570KL features a 5.7inch 1080 x 1920 pixels Super AMOLED display. It draws the strength from 2 GHZ Quad-core CPU and 6GB of RAM. It is equipped a 23MP rear cam and a 8 Megapixel front camera for selfies. It has 3000mah battery. The Zenfone 3 Deluxe ZS570KL comes with 256 Gigs of ROM and is 7.5 mm thick. It is a DUAL SIM smartphone with 4G LTE connectivity. Not just that, it also holds on infrared sensor, Optical image stabilization (OIS), Fingerprint scanner, Laser Auto focus and NFC (Near field communication). It is priced at RS 38499. Asus Zenfone 3 Ultra ZU680KL features a 6.8inch 1080 x 1920 pixels IPS LCD display. It draws the strength from 1.8 GHZ Octa-core CPU and 4GB of RAM. It is equipped a 23MP rear cam and a 8 Megapixel front camera for selfies. It is equipped with massive 4600mah battery. The Zenfone 3 Ultra ZU680KL comes with 128 Gigs of ROM and is 6.8 mm slim in terms of thickness. It is a DUAL SIM smartphone with 4G LTE connectivity. The specs also includes Laser Auto focus, infrared sensor, Optical image stabilization (OIS) and Fingerprint scanner. It is priced at RS 35499. Sony Xperia XA ULTRA F3216 features a 6.0inch 1080 x 1920 pixels IPS LCD display. It draws the strength from 2 GHZ Octa-core CPU and 3GB of RAM. It is equipped a 21.5MP rear cam and a 16 Megapixel front camera for selfies. It has 2700mah battery. The Xperia XA ULTRA F3216 comes with 16 Gigs of ROM and is 8.4 mm thick. It is a DUAL SIM smartphone with 4G LTE connectivity. Apart from the above specs it also features Optical image stabilization (OIS), NFC (Near field communication) and . It is priced at RS 29999. LeEco Le Max 2 X821 features a 5.7inch 1440 x 2560 pixels LTPS IPS LCD display. It draws the strength from 2.15 GHZ Quad-core CPU and 4GB of RAM. It is equipped a 21MP rear cam and a 8 Megapixel front camera for selfies. It has 3100mah battery. The LeTv Le Max 2 X821 comes with 32 Gigs of ROM and is 8 mm thick. It is a DUAL SIM smartphone with 4G LTE connectivity. Apart from the above specs it also features infrared sensor, NFC (Near field communication), Fingerprint scanner, Optical image stabilization (OIS) and . It is priced at RS 22999. HTC One M9+ Aurora Edition features a 5.2inch 1440 x 2560 pixels Super LCD3 display. It draws the strength from 2.2 GHZ Octa-core CPU and 3GB of RAM. It is equipped a 21MP rear cam and a 4 Megapixel front camera for selfies. It has 2840mah battery. The One M9+ Supreme Camera comes with 32 Gigs of ROM and is 9.6mm thick. It has 4G LTE support. The specs also includes Optical image stabilization (OIS), Fingerprint scanner and Laser Auto focus. It is priced at RS 41999. Microsoft Lumia 950 XL features a 5.7inch 1440 x 2560 pixels AMOLED display. It draws the strength from 2 GHZ Octa-core CPU and 3GB of RAM. It is equipped a 20MP rear cam and a 5 Megapixel front camera for selfies. It has 3340mah battery. The Lumia 950 XL comes with 32 Gigs of ROM . It has 4G LTE support. The specs also includes NFC (Near field communication), Optical image stabilization (OIS) and . It is priced at RS 45999. ZTE AXON 7 comes with a 5.5inch 1440 x 2560 pixels AMOLED screen. It is powered by 2 GHZ Quad-core CPU integrated with 6Gigs of RAM. It owns a 20Megapixel primary camera and a 8MP secondary camera. It houses 3140mah battery. The Axon 7 comes with 128GB of inbuilt storage and is 8.7 mm thick. It is a DUAL SIM smartphone with 4G LTE connectivity. It also features Fingerprint scanner, NFC (Near field communication), Optical image stabilization (OIS) and . You can buy it at INR 41999. Microsoft Lumia 950 features a 5.2inch 1440 x 2560 pixels AMOLED display. It draws the strength from 1.8 GHZ Hexa-core CPU and 3GB of RAM. It is equipped a 20MP rear cam and a 5 Megapixel front camera for selfies. It has 3000mah battery. The Lumia 950 comes with 32 Gigs of ROM . It has 4G LTE support. It also features NFC (Near field communication), Optical image stabilization (OIS) and . It is priced at RS 37999. Sony Xperia XZ2 comes with a 5.7inch 1080 x 2160 pixels IPS LCD screen. It is powered by 2.7 GHZ Octa-core CPU integrated with 4Gigs of RAM. It owns a 19Megapixel primary camera and a 5MP secondary camera. It houses 3180mah battery. The Xperia XZ2 comes with 64GB of onboard storage and is 11.1 mm thick. It is a DUAL SIM smartphone with 4G LTE connectivity. It also features Optical image stabilization (OIS), Dust and Water proof Wireless charging support, Fingerprint scanner, NFC (Near field communication), Laser Auto focus and . You can buy it at INR 50999. BlackBerry Priv features a 5.4inch 1440 x 2560 pixels AMOLED display. It draws the strength from 1.8 GHZ Hexa-core CPU and 3GB of RAM. It is equipped a 18MP rear cam and a 2 Megapixel front camera for selfies. It has 3410mah battery. The Priv comes with 32 Gigs of ROM and is 9.4 mm thick. It has 4G LTE support. It also features , Optical image stabilization (OIS) and NFC (Near field communication). It is priced at RS 49999. Samsung Galaxy S6 SM-G920i features a 5.1inch 1440 x 2560 pixels Super AMOLED Capacitive display. It draws the strength from 1.5 GHZ Quad-core CPU and 3GB of RAM. It is equipped a 16MP rear cam and a 5 Megapixel front camera for selfies. It has 2550mah battery. The Galaxy S6 SM-G920I / SM-G920f comes with 128 Gigs of ROM . It has 4G LTE support. The specs also includes , NFC (Near field communication), Optical image stabilization (OIS) and Fingerprint scanner Wireless charging support. It is priced at RS 49000. Samsung Galaxy A9 Pro SM-A9100 (2016) features a 6.0inch 1080 x 1920 pixels Super AMOLED display. It draws the strength from 1.8 GHZ Octa-core CPU and 4GB of RAM. It is equipped a 16MP rear cam and a 8 Megapixel front camera for selfies. It is equipped with massive 5000mah battery. The Galaxy A9 Pro 2016 SM-A9100Z comes with 32 Gigs of ROM and is 7.9mm thick. It is a DUAL SIM smartphone with 4G LTE connectivity. The specs also includes Optical image stabilization (OIS), NFC (Near field communication), Fingerprint scanner and . It is priced at RS 35999. Samsung Galaxy S6 active SM-G890 features a 5.1inch 1440 x 2560 pixels Super AMOLED Capacitive display. It draws the strength from 1.5 GHZ Octa-core CPU and 3GB of RAM. It is equipped a 16MP rear cam and a 5 Megapixel front camera for selfies. It has 3500mah battery. The Galaxy S6 active SM-G890 comes with 32 Gigs of ROM . It has 4G LTE support. The specs also includes Optical image stabilization (OIS) and NFC (Near field communication). It is priced at RS 56600. Samsung Galaxy S6 Edge+ SM-G928A features a 5.7inch 2560 x 1440 pixels Super AMOLED curved dual edge display. It draws the strength from 1.7 GHZ Octa-core CPU and 4GB of RAM. It is equipped a 16MP rear cam and a 6 Megapixel front camera for selfies. It has 3000mah battery. The Galaxy S6 Edge+ Plus SM-G928A comes with 128 Gigs of ROM . It has 4G LTE support. Apart from the above specs it also features NFC (Near field communication), Fingerprint scanner Wireless charging support, Optical image stabilization (OIS) and . It is priced at RS 59999. Huawei Mate 8 features a 6.0inch 1080 x 1920 pixels IPS LCD display. It draws the strength from 2.3 GHZ Octa-core CPU and 4GB of RAM. It is equipped a 16MP rear cam and a 8 Megapixel front camera for selfies. It is equipped with massive 4000mah battery. The Mate 8 comes with 128 Gigs of ROM and is 7.9mm thick. It is a DUAL SIM smartphone with 4G LTE connectivity. The specs also includes , Fingerprint scanner, NFC (Near field communication) and Optical image stabilization (OIS). It is priced at RS 45999. LG V20 H915 comes with a 5.7inch 1440 x 2560 pixels IPS LCD screen. It is powered by 2.0 GHZ Quad-core CPU integrated with 4Gigs of RAM. It owns a 16Megapixel primary camera and a 5MP secondary camera. It houses 3200mah battery. The V20 H910 comes with 64GB of onboard storage and is 7.6 mm thick. It has 4G LTE support. The specs also includes Laser Auto focus, Fingerprint scanner, NFC (Near field communication), Optical image stabilization (OIS), infrared sensor and . You can buy it at INR 56999. LG V10 H901 comes with a 5.7inch 1440 x 2560 pixels IPS LCD screen. It is powered by 1.8 GHZ Hexa-core CPU integrated with 4Gigs of RAM. It owns a 16Megapixel primary camera and a 5MP secondary camera. It houses 3000mah battery. The V10 H901 comes with 64GB of onboard storage . It has 4G LTE support. Not just that, it also holds on , Fingerprint scanner, infrared sensor, NFC (Near field communication), Optical image stabilization (OIS) and Laser Auto focus. You can buy it at INR 59999. Asus Zenfone 3 ZE552KL features a 5.5inch 1080 x 1920 pixels Super IPS+ display. It draws the strength from 2 GHZ Octa-core CPU and 4GB of RAM. It is equipped a 16MP rear cam and a 8 Megapixel front camera for selfies. It has 3000mah battery. The Zenfone 3 ZE552KL comes with 64 Gigs of ROM and is 7.7 mm thick. It is a DUAL SIM smartphone with 4G LTE connectivity. Apart from the above specs it also features Laser Auto focus, infrared sensor, Optical image stabilization (OIS) and Fingerprint scanner. It is priced at RS 19499. Asus Zenfone 3 ZE520KL features a 5.2inch 1080 x 1920 pixels Super IPS+ display. It draws the strength from 2 GHZ Octa-core CPU and 4GB of RAM. It is equipped a 16MP rear cam and a 8 Megapixel front camera for selfies. It has 2600mah battery. The Zenfone 3 ZE520KL comes with 64 Gigs of ROM and is 7.7 mm thick. It is a DUAL SIM smartphone with 4G LTE connectivity. The specs also includes , Fingerprint scanner, Optical image stabilization (OIS), infrared sensor and Laser Auto focus. It is priced at RS 23999. LG G5 H850 VS987 features a 5.3inch 1440 x 2560 pixels IPS LCD display. It draws the strength from 2.2 GHZ Quad-core CPU and 4GB of RAM. It is equipped a 16MP rear cam and a 8 Megapixel front camera for selfies. It has 2800mah battery. The G5 H850 VS987 comes with 32 Gigs of ROM and is 7.7 mm thick. It is a DUAL SIM smartphone with 4G LTE connectivity. It also features , Optical image stabilization (OIS), Laser Auto focus, NFC (Near field communication), Fingerprint scanner Wireless charging support and infrared sensor. It is priced at RS 65999. Samsung Galaxy Note 4 SM-N910G features a 5.7inch 1440 x 2560 pixels Super AMOLED display. It draws the strength from 2.3 GHZ Quad-core CPU and 3GB of RAM. It is equipped a 16MP rear cam and a 3.7 Megapixel front camera for selfies. It has 3220mah battery. The Galaxy Note 4 SM-N910A / N910H / N910V comes with 32 Gigs of ROM and is 8.5 mm thick. It has 4G LTE support. Apart from the above specs it also features , infrared sensor, Optical image stabilization (OIS), NFC (Near field communication) and Fingerprint scanner Wireless charging support. It is priced at RS 44999. ZTE nubia Z11 features a 5.5inch 1080 x 1920 pixels IPS LCD display. It draws the strength from 2 GHZ Quad-core CPU and 6GB of RAM. It is equipped a 16MP rear cam and a 8 Megapixel front camera for selfies. It has 3000mah battery. The nubia Z11 comes with 128 Gigs of ROM and is 7.5 mm thick. It is a DUAL SIM smartphone with 4G LTE connectivity. The specs also includes , NFC (Near field communication), Optical image stabilization (OIS), Fingerprint scanner and infrared sensor. It is priced at RS 35499. SAMSUNG GALAXY S6 EDGE SM-G925F comes with a 5.1inch 1440 x 2560 pixels Super AMOLED Capacitive screen. It is powered by 1.5 GHZ Quad-core CPU coupled with 3Gigs of RAM. It owns a 16Megapixel primary camera and a 5MP secondary camera. It houses 2600mah battery. The GALAXY S6 EDGE SM G925F comes with 128GB of inbuilt storage and is 7mm thick. It has 4G LTE support. The specs also includes Optical image stabilization (OIS), NFC (Near field communication) and Fingerprint scanner Wireless charging support. You can buy it at INR 60000. Xiaomi Mi5 features a 5.15inch 1080 x 1920 pixels IPS LCD display. It draws the strength from 1.8 GHZ Quad-core CPU and 4GB of RAM. It is equipped a 16MP rear cam and a 4 Megapixel front camera for selfies. It has 3000mah battery. The Mi-5 comes with 128 Gigs of ROM and is 7.3 mm thick. It is a DUAL SIM smartphone with 4G LTE connectivity. The specs also includes Fingerprint scanner, infrared sensor, Optical image stabilization (OIS) and NFC (Near field communication). It is priced at RS 29999. LG G Vista 2 H740 AT&T features a 5.7inch 1080 x 1920 pixels IPS LCD display. It draws the strength from 1.5 GHZ Octa-core CPU and 2GB of RAM. It is equipped a 13MP rear cam and a 5 Megapixel front camera for selfies. It has 3000mah battery. The G Vista 2 H740 AT&T comes with 16 Gigs of ROM and is 9.7 mm thick. It has 4G LTE support. Apart from the above specs it also features , NFC (Near field communication), Laser Auto focus and Optical image stabilization (OIS). It is priced at RS 29999. HTC ONE S9 comes with a 5.0inch 1080 x 1920 pixels Super LCD screen. It is powered by 2 GHZ Octa-core CPU coupled with 2Gigs of RAM. It owns a 13Megapixel primary camera and a 4MP secondary camera. It houses 2840mah battery. The One S9 comes with 16GB of onboard storage and is 10.1 mm thick. It has 4G LTE support. It also features NFC (Near field communication), Optical image stabilization (OIS) and . You can buy it at INR 36999. HTC Desire 828 dual sim features a 5.5inch 1080 x 1920 pixels Capacitive display. It draws the strength from 1.5 GHZ Octa-core CPU and 2GB of RAM. It is equipped a 13MP rear cam and a 4 Megapixel front camera for selfies. It has 2800mah battery. The Desire 828 dual sim comes with 16 Gigs of ROM and is 7.9 mm thick. It is a DUAL SIM smartphone with 4G LTE connectivity. The specs also includes Optical image stabilization (OIS). It is priced at RS 16999. Motorola Nexus 6 XT1100 / XT1103 features a 5.96inch 1440 x 2560 pixels AMOLED display. It draws the strength from 2.7 GHZ Quad-core CPU and 3GB of RAM. It is equipped a 13MP rear cam and a 2 Megapixel front camera for selfies. It has 3220mah battery. The Nexus 6 XT1100 / XT1103 comes with 64 Gigs of ROM and is 10mm thick. It has 4G LTE support. Not just that, it also holds on Optical image stabilization (OIS), NFC (Near field communication) and Waterproof Wireless charging support. It is priced at RS 32999. HTC Desire 830 features a 5.5inch 1080 x 1920 pixels Super LCD display. It draws the strength from 1.3 GHZ Octa-core CPU and 3GB of RAM. It is equipped a 13MP rear cam and a 4 Megapixel front camera for selfies. It has 2800mah battery. The Desire 830 comes with 32 Gigs of ROM and is 7.8 mm thick. It is a DUAL SIM smartphone with 4G LTE connectivity. It also features Optical image stabilization (OIS) . It is priced at RS 19999.